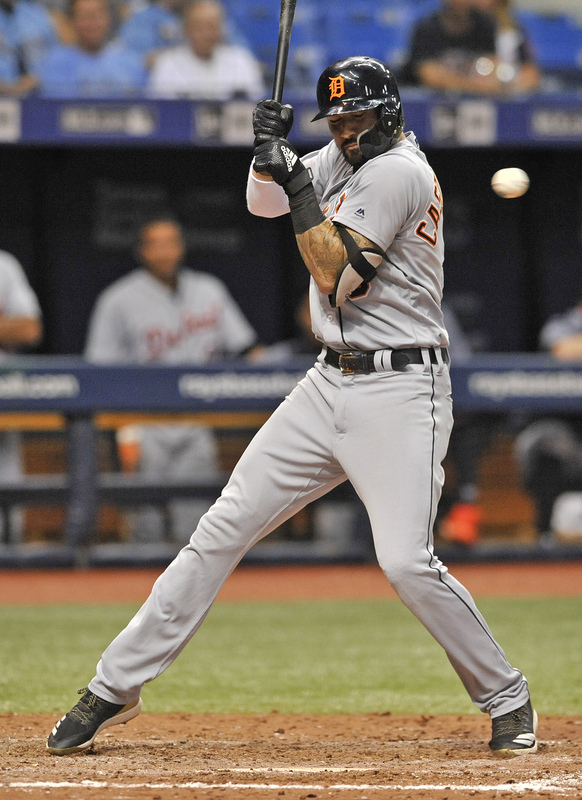 ST. PETERSBURG, Fla. (AP) — This time the Tampa Bay offense picked up the Rays pitchers. Daniel Robertson hit an RBI single in the 10th inning and the Rays won for the 12th time in their last 13 home games by beating the Detroit Tigers 10-9 Monday night. “I’m not exactly sure what took place, but whatever the food we ate before the game today we’ll not be eating tomorrow,” a smiling Cash added. Tampa Bay, coming off consecutive road shutout wins over the New York Mets, entered with a 1.82 ERA over the previous 15 games. “The pitching staff has been carrying us,” Robertson said. Kevin Kiermaier had a one-out triple off Blaine Hardy (3-2) in the 10th. After Matt Duffy walked, Robertson won it on his hit to center. Matt Andriese (2-3), the eighth Tampa Bay reliever, worked a scoreless 10th. Niko Goodrum had two doubles and three RBIs for the Tigers, who have lost 16 of 20. Carlos Gomez put the Rays up 8-7 with his third RBI, coming on a bunt single in the seventh. Pinch-hitter Joey Wendle made it 9-7 on a run-scoring double later in the inning. The Tigers tied it at 9-all during the eighth when Victor Martinez had an RBI single and pinch-runner JaCoby Jones scored when first baseman Jake Bauers flipped a toss past reliever Sergio Romo for an error on Mikie Mahtook’s infield single. Tampa Bay opening-day starter Chris Archer lasted just 3 1/3 innings, giving up three runs and six hits during first outing since going on the 10-day disabled list June 3rd with a left abdominal strain. “I think rusty is a fair term,” Cash said. Tigers starter Francisco Liriano allowed seven runs and eight hits over 2 1/3 innings. The lefty has given up 29 earned runs in 23 1/3 innings over eight appearances at Tropicana Field. Goodrum had an RBI double before Jose Iglesias drove in two with a double in a four-run seventh that pulled the Tigers even at 7-7. The Rays took a 5-0 lead in the first. Two of the runs scored when Tigers right fielder Nicholas Castellanos lost Adeiny Hechavarria’s two-out fly that dropped for a double. Goodrum hit a two-run double during a three-run third that got Detroit within 5-3. The Rays went up 7-3 later in the third when Wilson Ramos hit a solo shot against Liriano and Gomez had a run-scoring double off Drew VerHagen that took a crazy bounce off second base. Tigers: Castellano (sore left wrist) started after not playing Sunday. He reached base five times, including three hits. . 3B Jeimer Candelario was out of the starting lineup due to the flu. Rays: Kiermaier (sore back, one game) and INF Willy Adames (illness, two games) both started. Rays two-way player Brendan McKay went 0 for 3 and was hit by a pitch as the DH for the Gulf Coast League Rays in his first game since being sidelined four weeks by an oblique strain. He is on the Class A Charlotte disabled list. Liriano became the sixth Dominican-born pitcher to reach 1,700 strikeouts by fanning Kiermaier in the first. The others reaching the mark are Pedro Martinez, Bartolo Colon, Juan Marichal, Ervin Santana and Ubaldo Jimenez. Tigers LHP Matthew Boyd (4-7) will start against reliever Ryne Stanek (1-2) in a Rays bullpen day Tuesday night.